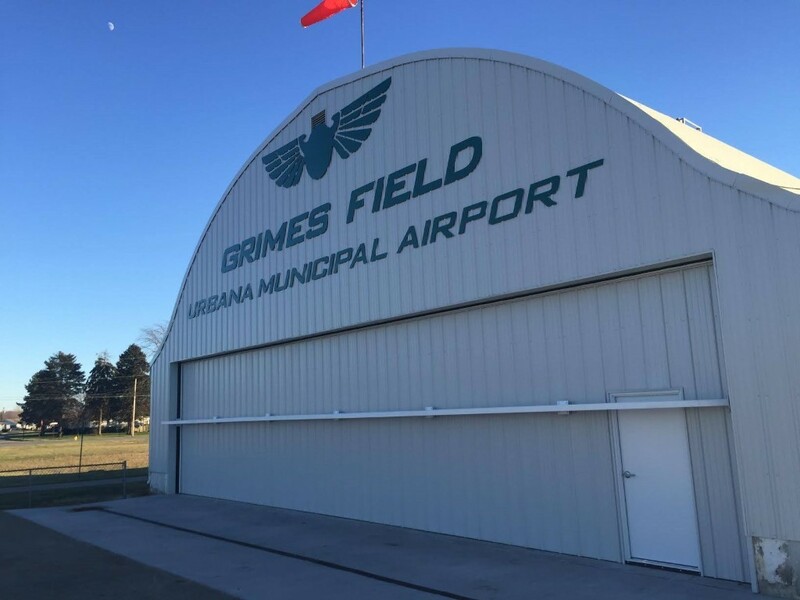 ﻿ Grimes Field Municipal Airport - Ohio. Find It Here. Grimes Field is the busiest general aviation airport and museum site in the United States. We have 3 museums on site, the Champaign Aviation Museum (where they are re-building a B-17 bomber), the Grimes Flying Lab Foundation (with Warren Grimes' C-45H Aircraft and over 75 lights) and the Ohio Wing of the Mid America Flight Museum of Texas (currently restoring a TravelAir 6000).All museums are free to the public and you can walk right up to the volunteer who is pounding rivets and talk to him/her. Annual Airfield events include a Military Appreciation Day, MERFI (Mid Eastern Regional Fly-In), a Balloon Festival, Oktoberfest, Free Concerts & Fireworks July 4th.